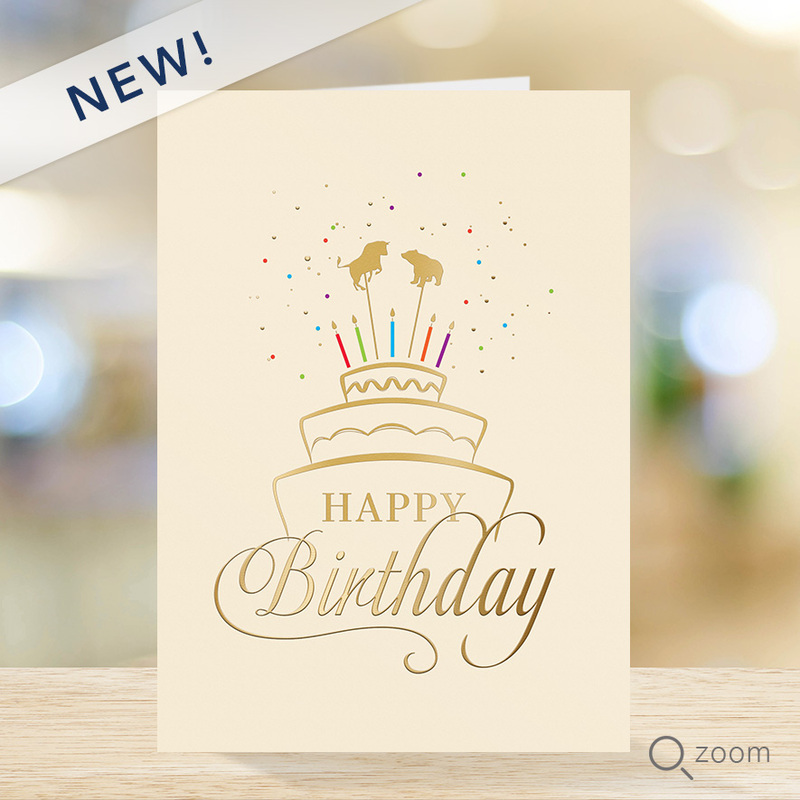 PREMIUM - Send your best birthday wishes with a card featuring Wall Street’s favorite bull and bear atop an elegant, colorful cake. 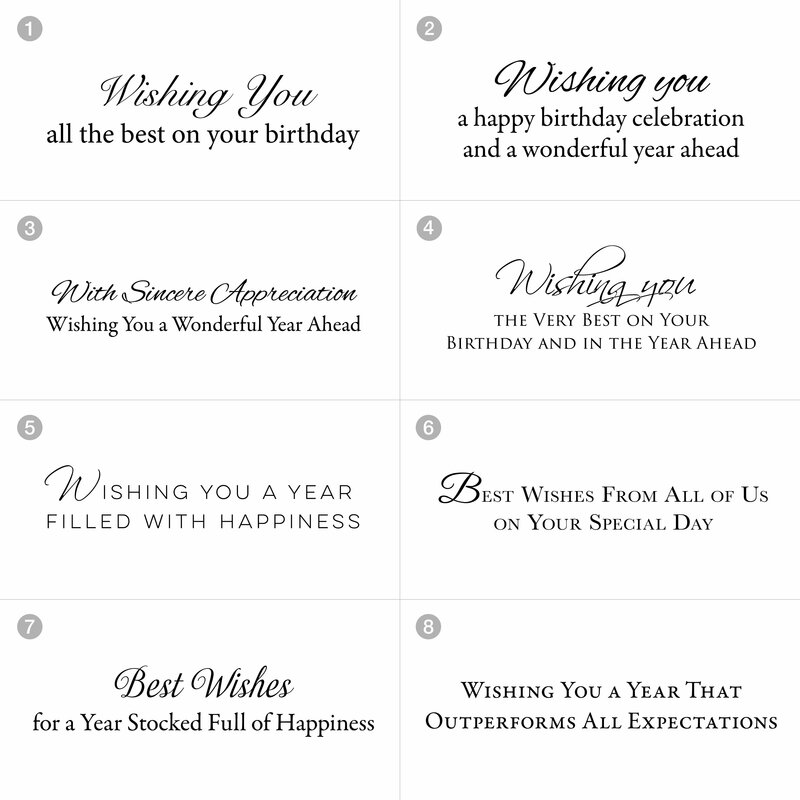 Gold foil and emboss embellishments make this a card to remember. Choose an inside verse at no additional cost.